Here at Liberty Spine Care we recognize that complex billing procedures and payment methods can be confusing and frustrating for most people. We hope you find the following information about our financial policies and billing procedures helpful. Our patients are encouraged to check with their insurance carrier to make sure that Liberty Spine Care is in their care network. As a courtesy, we are happy to file insurance claims for our patients. Liberty Spine Care can also provide care for patients as an out-of-network provider; details of your financial responsibility should be discussed with your insurance company. We will file a claim to our patient’s primary insurance carrier as well as any secondary or supplemental insurance plans they may have once theå primary carrier has paid. We share our patients’ concern over the increasing costs of medical care and thus we strive to keep our fees reasonable and customary. 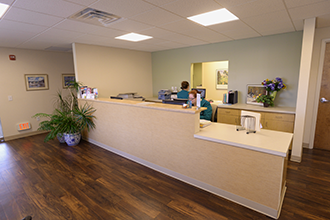 If you have any questions about your bill with Liberty Spine Care, please ask us. You are responsible for payment of your account even if you have insurance; your insurance contract is an agreement between you and your insurance company. Depending on your contract with your insurance company, you may be required to make a co-payment or pay a deductible amount. Co-payments are required on the date of service. Insurance payments paid directly to Liberty Spine Care will be applied to your account. If there is a balance remaining you will receive a billing statement. If your insurance plans require a referral for you to see a physician at Liberty Spine Care; this must be obtained from your primary care physician. Patients are responsible for making sure a referral is in place before services are received. Our business office has referral coordinators available if further assistance is needed. In order to be respectful of the medical needs of the Liberty Spine Care please be courteous and call promptly if you are unable to attend an appointment. This time will be reallocated to someone who is in need of treatment. This is how we can best serve the needs of all our patients.